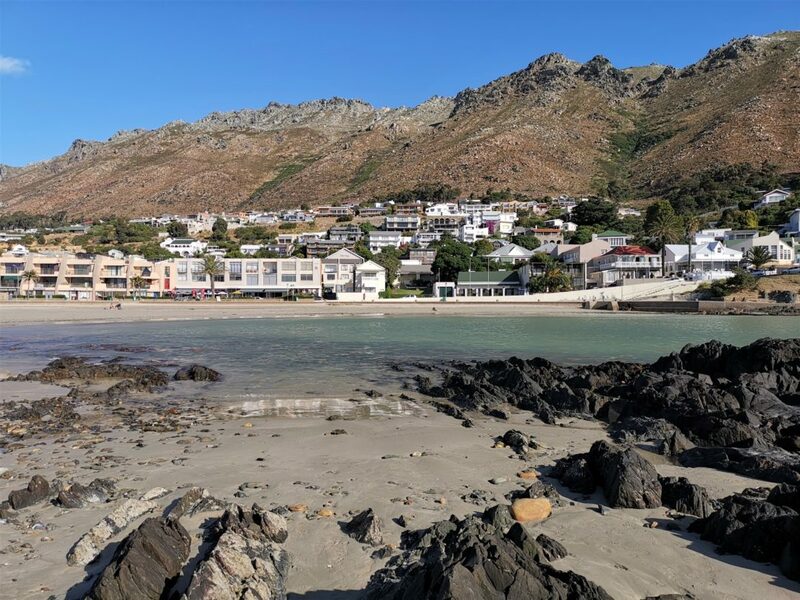 The coastal village of Gordon’s Bay is poised to become the new hotspot for local and international tourists alike. 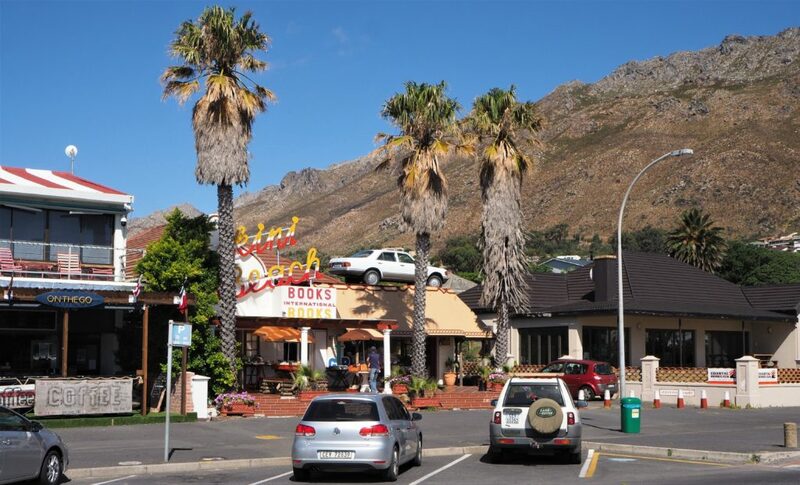 Situated on the slopes of the Hottentots Holland Mountains with perfect views over False Bay, it is centrally located as the ideal base for exploring the best of the Cape. 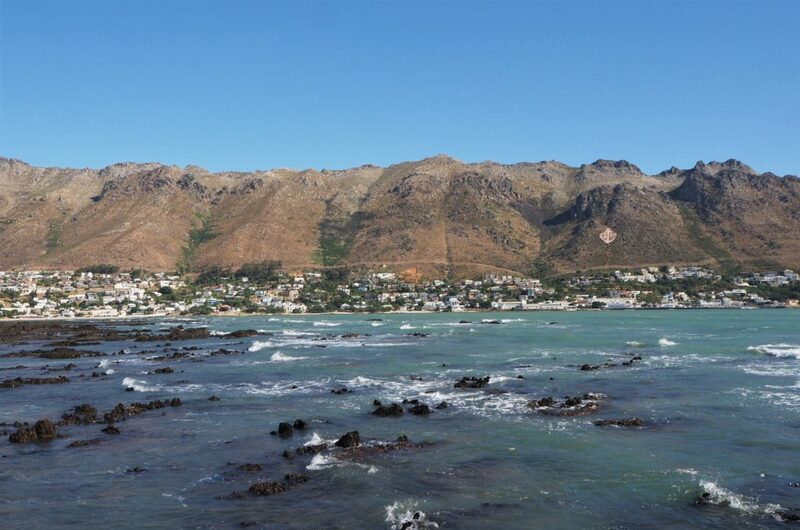 A 57 kilometer drive will get you to the centre of Cape Town or heading in the other direction, Gordon’s Bay is at the start of the magnificent Clarence Drive, one of the most scenic coastal routes in the world with plenty of viewing points and seaside villages to explore along the way. 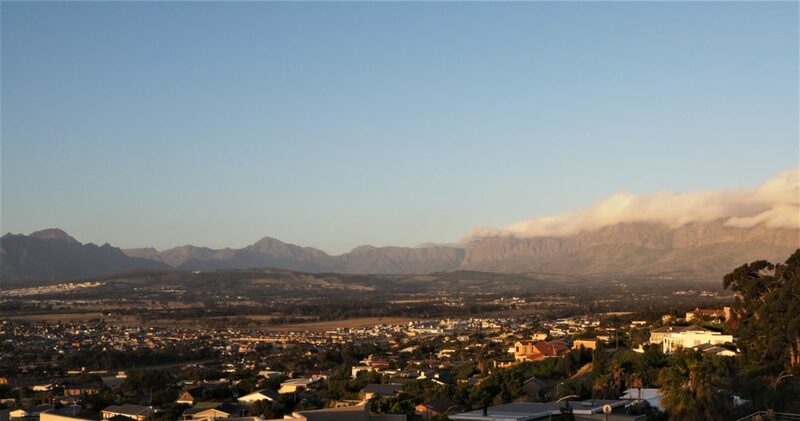 A 30 kilometer drive inland takes you into the very heart of the Winelands and the historic town of Stellenbosch. 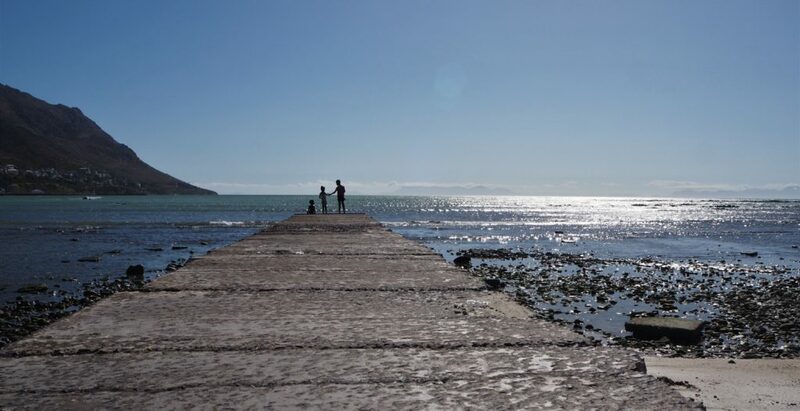 Dubbed Gorgeous Bay by the travel industry, there is plenty to do in the village itself. 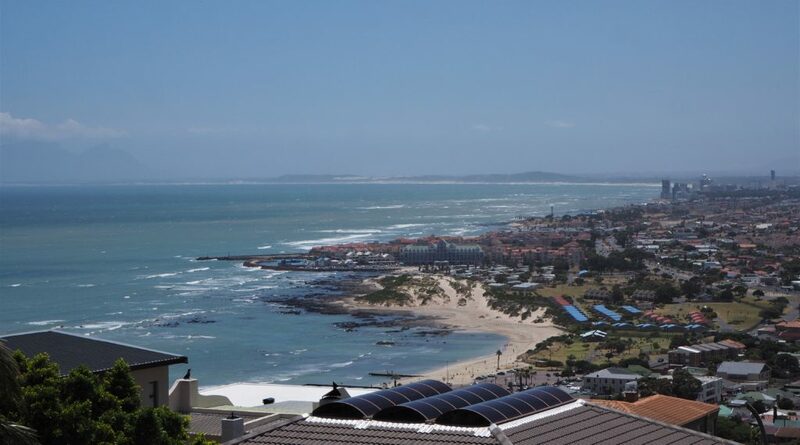 The Blue Flag Bikini Beach is tucked in the corner of the bay and is a great family friendly beach. TIP: Parts of the shallows are full of rocks and pebbles so bring water shoes, flip flops or old takkies for wading out into the ocean. About 650 meters of sandy beach offers swimming, rock pools to explore, a pier and even a spot where you can wade out to a little island. 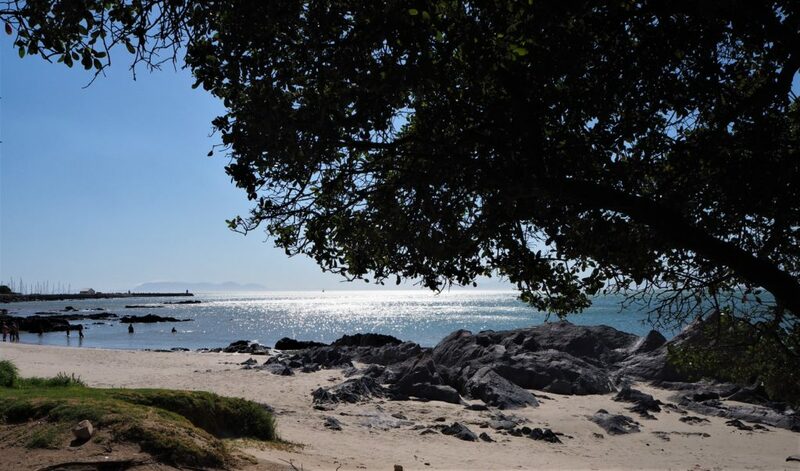 Further around the bay is another 500 meters of sandy coves sheltered by old Milkwood trees making a perfect picnic area or camping spot for a full day at the beach. Parts of the beach are full of small stones while other sections have lovely white sand. Shady milkwood trees and a fantastic beach, does it get any better that this. 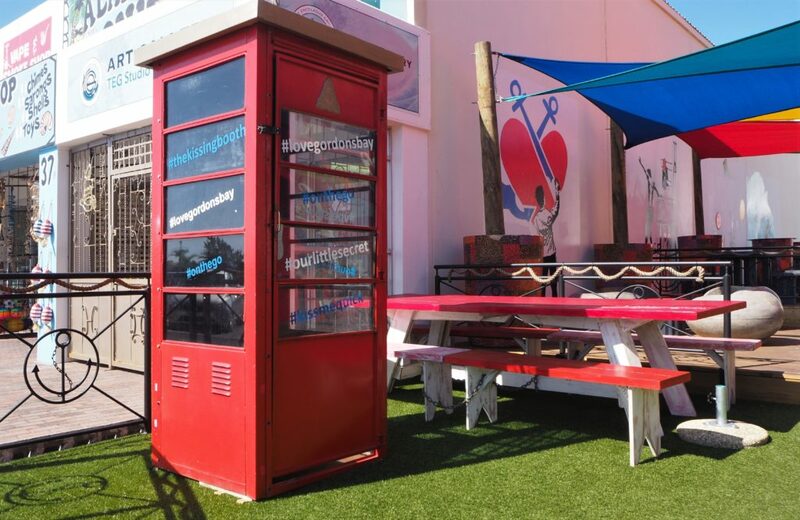 A short strip of shops and restaurants in front of Bikini Beach and the parking area offer The Bikini Beach Bookshop, The Smoke Shop for those dedicated to vaping, Coffee on the Go, an ice cream shop, an old school beachside shop aptly named Aladdin’s Cave, a few restaurants and a retro phone box that is now a kissing booth. 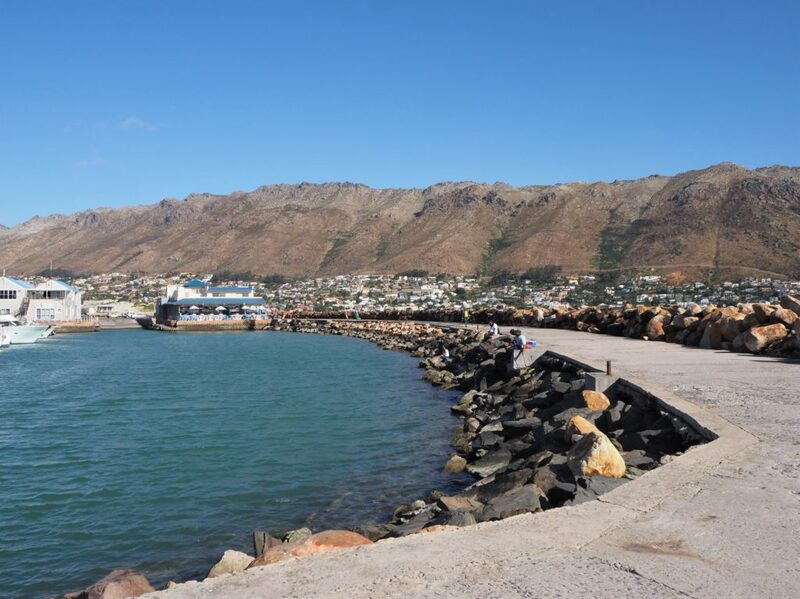 The two harbours are both worth a visit, the one on the Cape Town side has a marina, good fishing spots, a restaurant and a fishing tackle shop. Can you see the GB on the mountain above the houses? This luxury self-catering villa on the slopes of the mountain is one and a half kilometers from the beach. The master bedroom and bathroom take up the whole of the top floor and a large deck offers wonderful views of the bay and the mountains. The main area has a spacious lounge, two double bedrooms, a bathroom, an elegant dining area and a fully equipped open plan kitchen. A large verandah opens from the lounge and is the ideal area for that first cup of coffee. 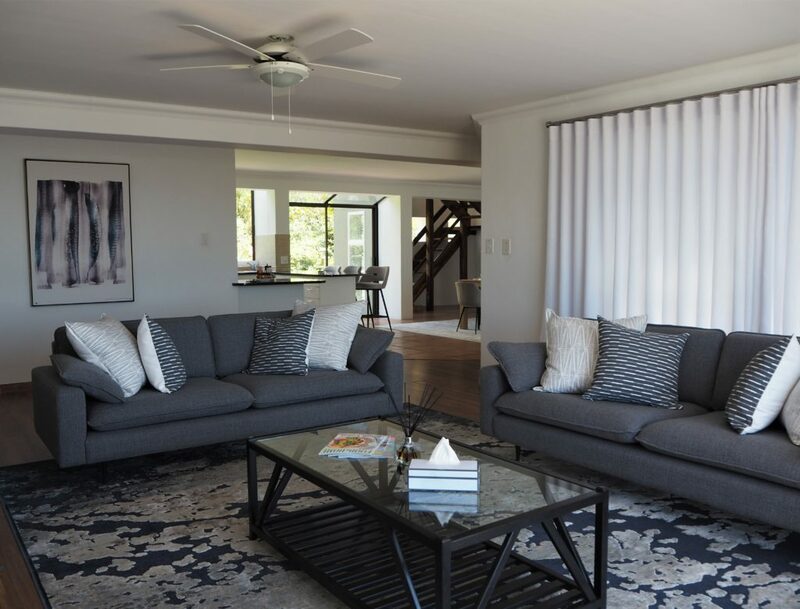 The lower level has a garage for 2 cars with access up to the lounge, and on the other side of the main entrance there is a self-contained suite with a double bed, small kitchen area and separate bathroom. Aurora Views can comfortably accommodate 8 adults. 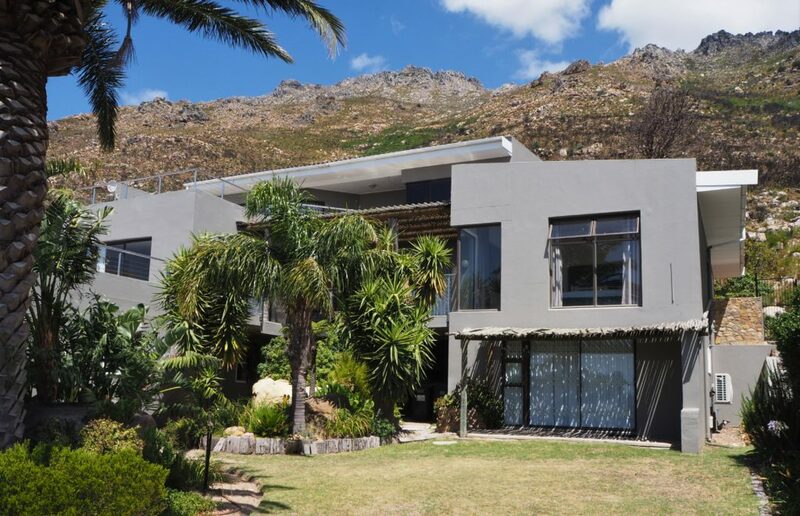 The back area has a small sheltered garden suitable for making a braai and a low fence is the only barrier between the house and the indigenous shrubs and fynbos of the mountain. You could not get any closer to nature if you tried. 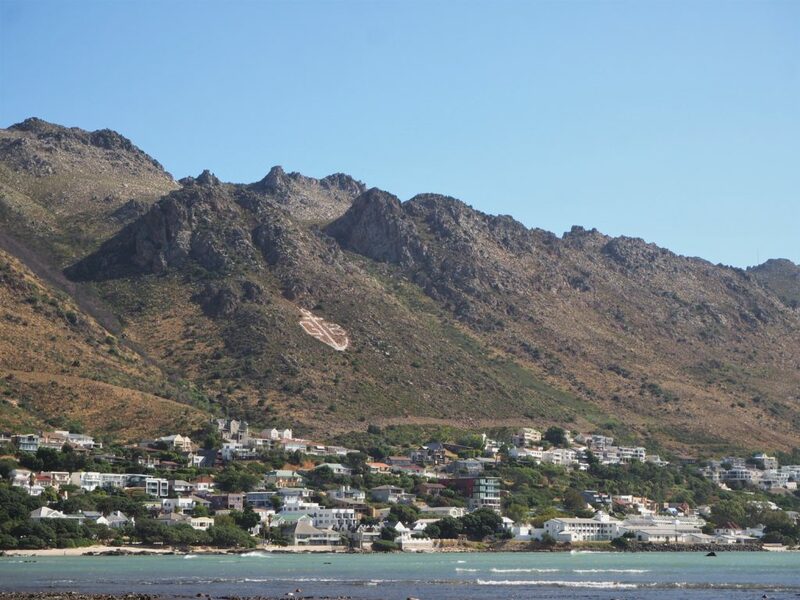 Just ten kilometers from Gordons Bay is Waterkloof Restaurant, awarded the coveted title of Best Restaurant in South Africa by Eat Out Guide in 2018. Chef Gregory Czarnecki performs from the open plan kitchen where he creates classical cuisine with a modern French twist. 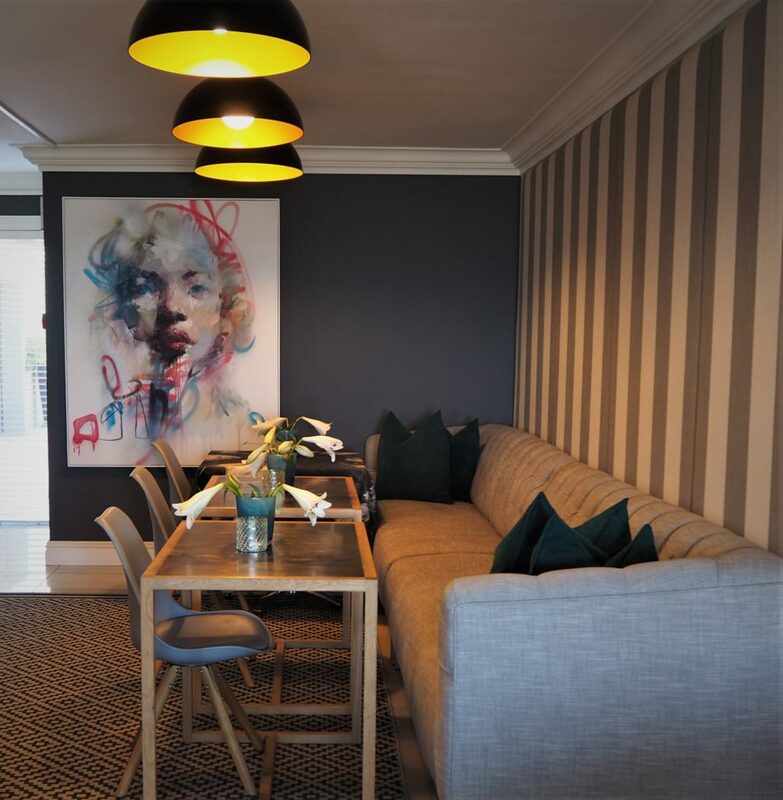 In Somerset West, 15 kilometers from Gordons Bay, master chef George Jardine, has opened his seventh restaurant aptly named Seven situated at Shop Seven at the Avenue Centre in Somerset West. 95 at Morgenster is Giorgio Nava’s new world class restaurant and is just fifteen kilometers from Gordon’s Bay. A trip up the Sir Lowry’s Pass road into the mountains leads to Idiom where the Bottega family have brought Italian style to South Africa. This estate is worthy of a whole day out to experience the views, the architecture, the restaurants and the wines. But wait, there’s more. A wine inspired perfume, Idiom Parfum du Vin is a seductive fragrance created by Tammy Frazer and Silvana Bottega, presented in hand-blown glass bottles by a renowned South Africa glassblower, David Reade. Another unexpected delight on this estate are the luxury leather products, sustainably sourced and beautifully made. Waterkloof Wine Estate where a minimalist approach and a philosophy of producing wine as naturally as possible results in spectacular organic wines. Wine tasting is offered daily from 10am to 5pm and cellar tours are available by appointment. Vergelegen. Ancient Camphor trees welcome you to this estate that boasts a history going back 300 years and a library housing books from the 1700’s. The tasting room overlooks the aromatic herb garden and lavender labyrinth, while the food offerings range from picnics, bistro or fine dining. Cellar tours, walking trails, and a rose garden are the perfect place to walk off the exquisite cuisine and lovely wines. 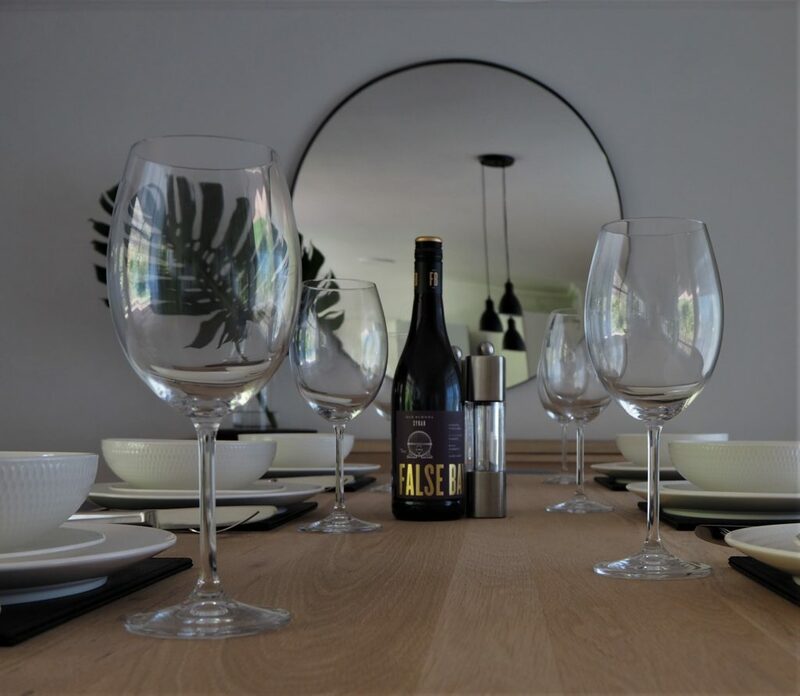 Lourensford is an historic estate with an ultra-modern cellar. The Restaurant is open every day and serves breakfast, lunch and a variety of baked goods. The Lourensford Market is a popular event every Sunday and alternate Fridays. Chill out at Aurora View after a long day exploring. There are so many courses easily accessed from Gordon’s Bay and we’ve cherry picked a few for you. Just down the road is Strand GC, a Par 72 parklands course. This friendly open course will test your skills in the afternoon winds. Somerset West GC is aPar 72 course and was recently redesigned by the legendary Peter Malkovich. The Parklands style of some of the course is beautiful, and the links feel to the back nine provides variety to the game. Stellenbosch GC is the fourth oldest golf club in South Africa. This Parklands style Par 72 course is set partly around the famous vineyards of the area. Arabella GC is a Peter Matkovich designed Links, Parklands, Coastal course accessed via Clarence Drive from Gordon’s Bay. This Par 72 Championship course is consistently ranked in the top 10 courses in South Africa. Other accolades include the 8th hole as the most beautiful Par 5, and the 18th hole as the finest finisher. Kleinmond GC is the one that surprises everyone. 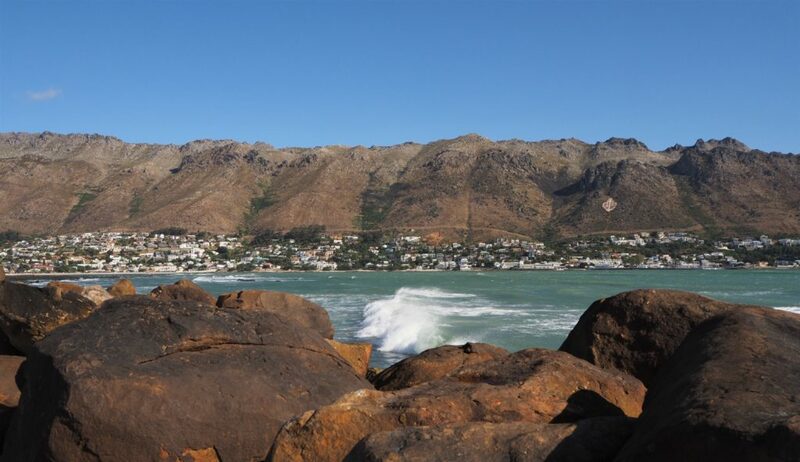 Set in a kloof in the Kogelberg Biosphere this Eco friendly course offers wildlife, fynbos, mountain and sea views and even whale sightings between July and October. Erinvale GC was designed by Gary Player and is situated on a residential estate. 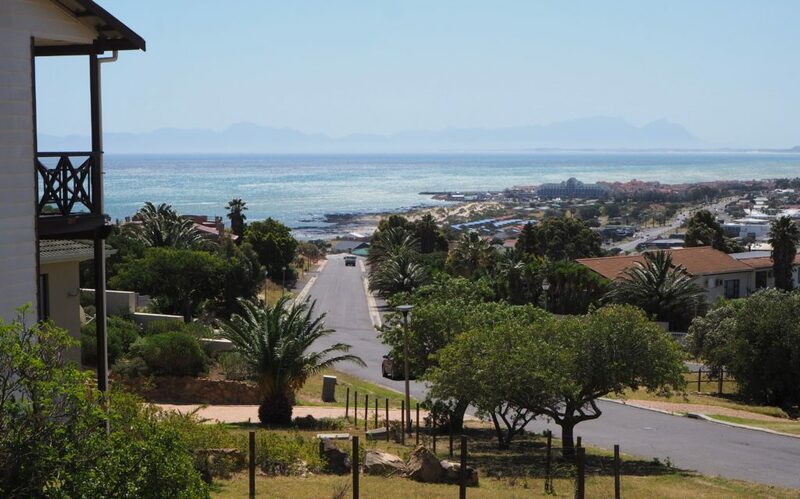 The first nine meander gently around the residential area, and the back nine provide exquisite sea and mountain views from the slopes of the Helderberg Mountains. De Zalze GC is a Parklands course on the Kleine Zalze Estate that adds variety with the tree lined Blaauwklippen river which comes into play at various intervals. The fairways are surrounded by the vineyards, olive groves & lavender fields of the estate. Dip your toes in as you sit on the end of the pier after a long day on the golf course. 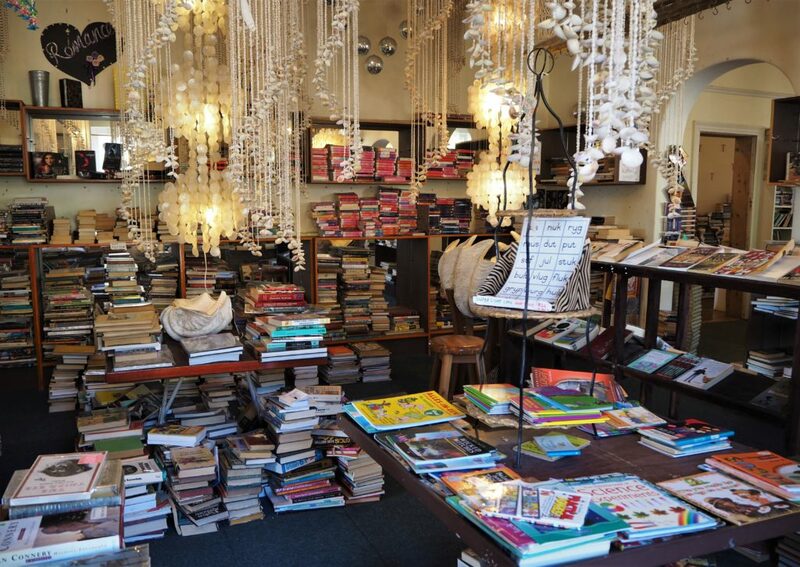 Add a bit of culture to your stay. Brad Twaddle is an entertaining local guy full of enthusiasm, theatric gestures and a passion for the area. He is also an accomplished tour guide offering tailor made art tours . The Winelands Art Tour to Stellenbosch and Franschhoek includes visits to elite wine estates to view their private collections and magnificent galleries and sculpture gardens , as well as time with independent artists in their creative spaces. 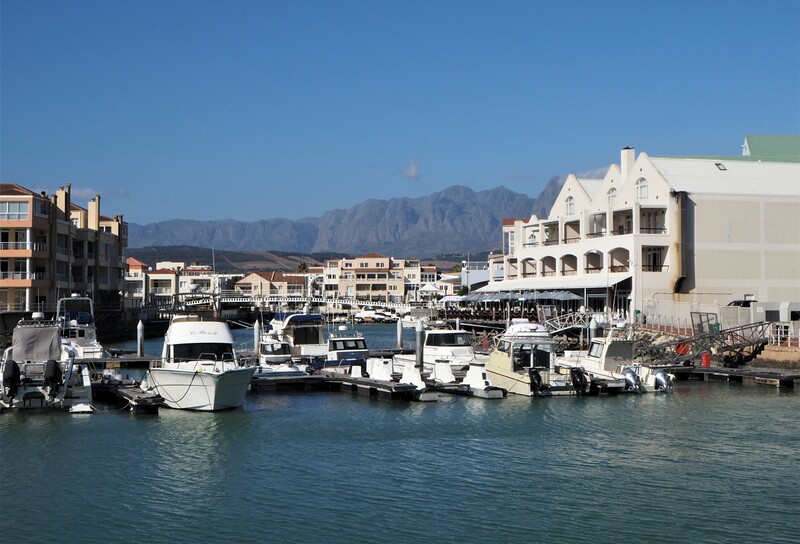 This tour is the perfect taste of Cape Town, a fusion of culinary, art & wine experiences. 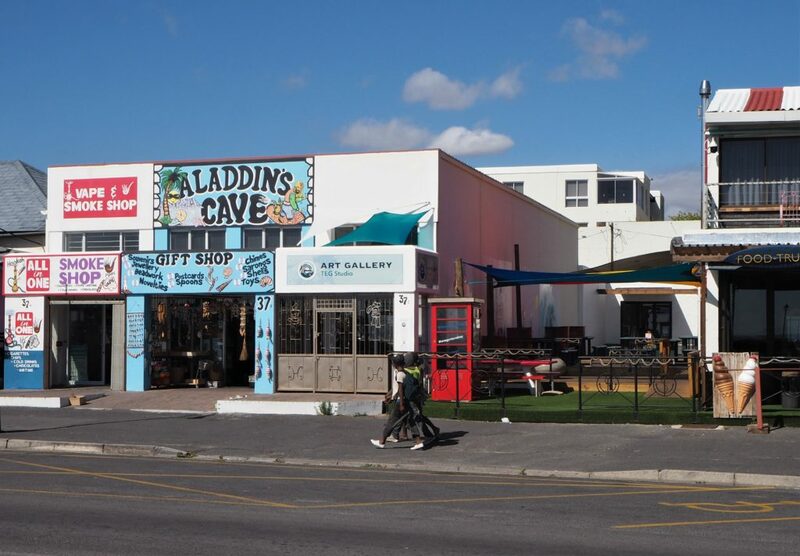 The City Art Tour to the CBD and Waterfront, Woodstock and the southern suburbs takes in the incredible culture, architecture, galleries, national museums, contemporary art and many avenues of design. The Bespoke Art Tour explores museums, private collections, galleries, outdoor sculptures and studios of your choice. Thanks to Travel Opulent Box and Aurora Views for hosting me and allowing me to rediscover this magic little village. As always opinion are all my own. 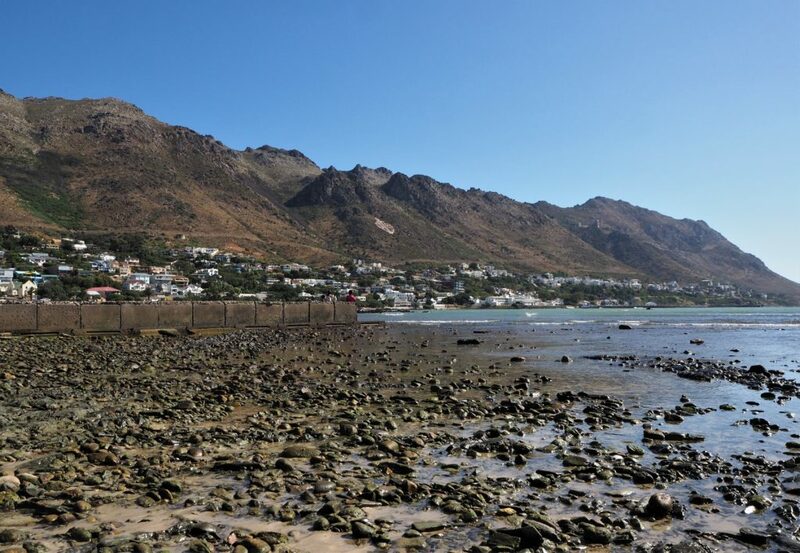 Gordon’s Bay really is gorgeous.